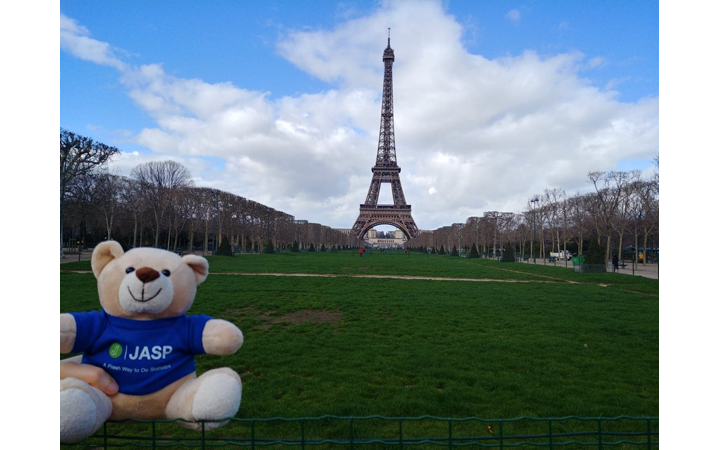 Last week we submitted a paper with guidelines for conducting and reporting a Bayesian analysis (with a focus on JASP). You can find a preprint here. 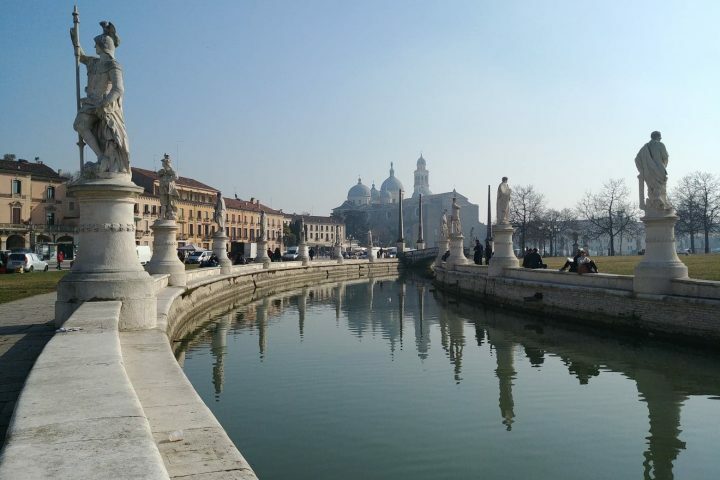 Despite the increasing popularity of Bayesian inference in empirical research, few practical guidelines provide detailed recommendations for how to apply Bayesian procedures and interpret the results. Here we offer specific guidelines for four different stages of Bayesian statistical reasoning in a research setting: planning the analysis, executing the analysis, interpreting the results, and reporting the results. The guidelines for each stage are illustrated with a running example. 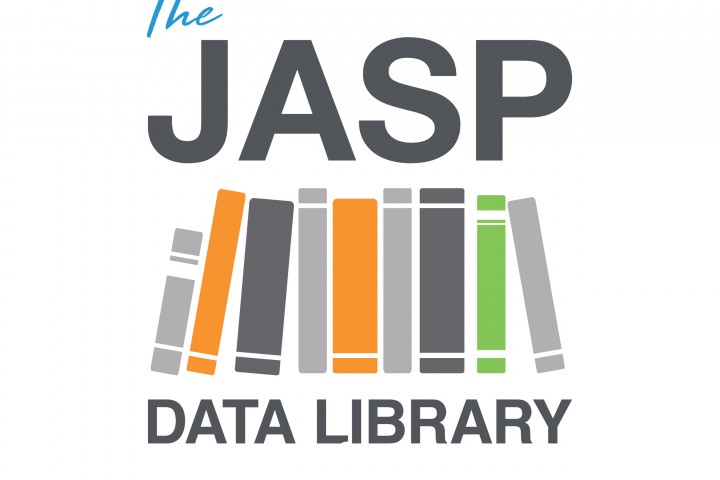 Although the guidelines are geared toward analyses performed with the open-source statistical software JASP, most guidelines extend to Bayesian inference in general. Figure 1. 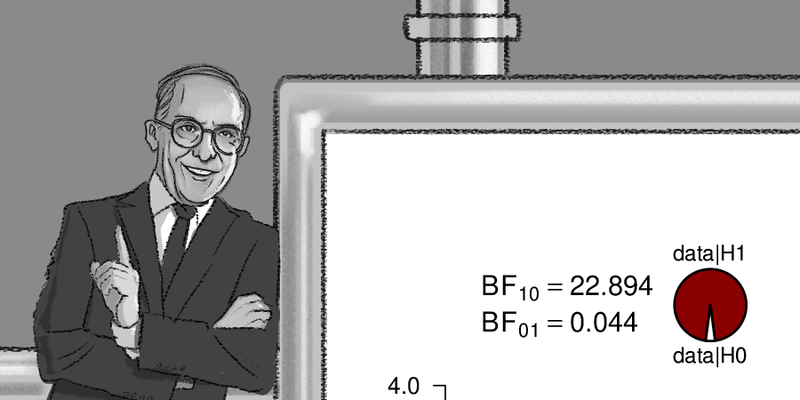 Model misspecication is also a problem for Bayesian analyses. 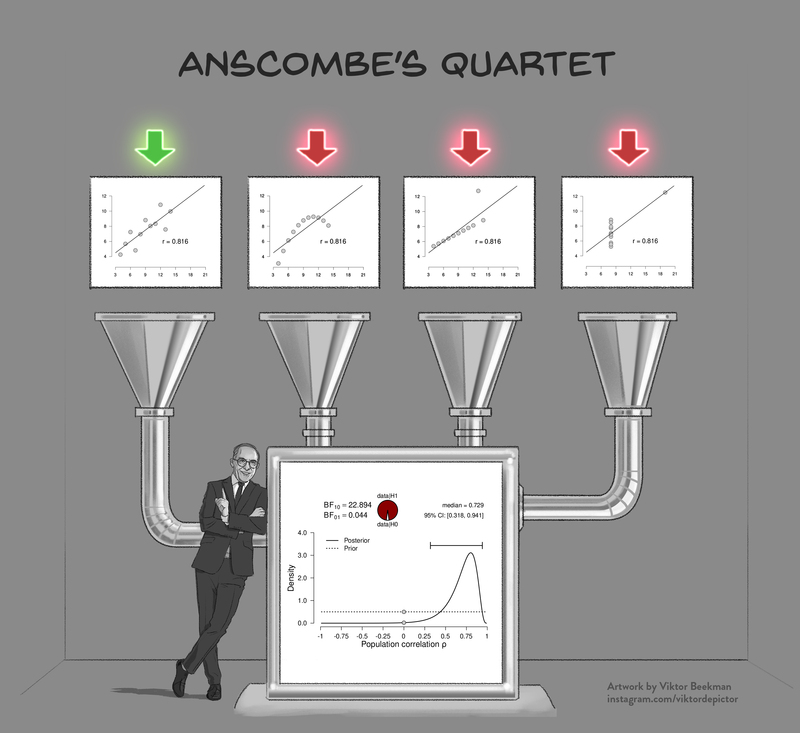 The four scatterplots on top show Anscombe’s quartet (Anscombe, 1973); the bottom panel shows the corresponding inference, which is identical for all four scatter plots. Except for the leftmost scatterplot, all data violate the assumptions of the linear correlation analysis in important ways. Please email us if you believe we have overlooked something! Anscombe, F. J. (1973). Graphs in statistical analysis. The American Statistician, 27, 17-21.
van Doorn, J., van den Bergh, D., Boehm, U., Dablander, F., Derks, K., Draws, T., Evans, N. J., Gronau, Q. F., Hinne, M., Kucharsky, S., Ly, A., Marsman, M., Matzke, D., Komarlu Narendra Gupta, A. R., Sarafoglou, A., Stefan, A., Voelkel, J. G., & Wagenmakers, E.-J. (2019). 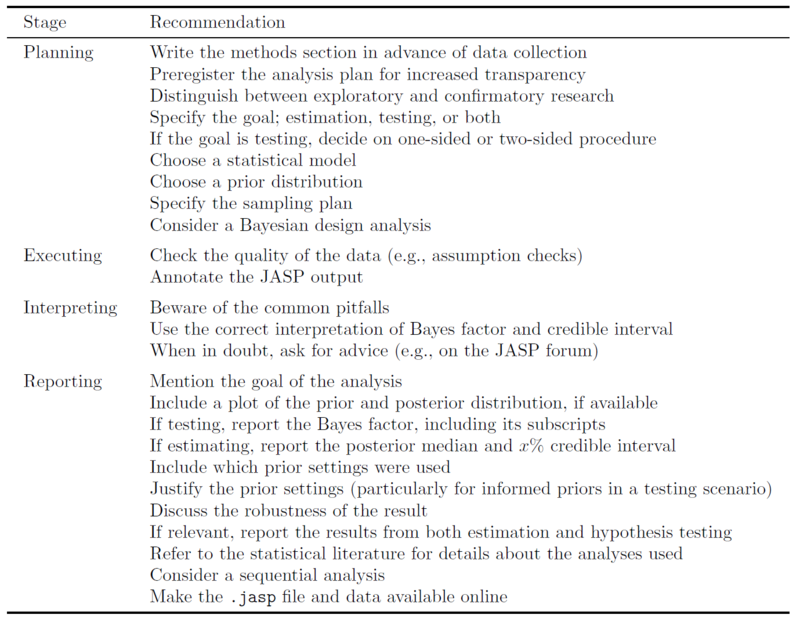 The JASP guidelines for conducting and reporting a Bayesian analysis. Manuscript submitted for publication. Preprint available at https://psyarxiv.com/yqxfr.